Water is the vital source of life. 71% of the Earth’s surface is covered in Water, however only 2.5% of water on Earth is fresh water and 98.8% of this is found in ice and ground water. This makes fresh water an extremely scarce resource. According to the United Nations World Water Assessment Program, 70% of fresh water is used for irrigation, while 20% and 10 % is used for industrial purposes and consumption respectively. 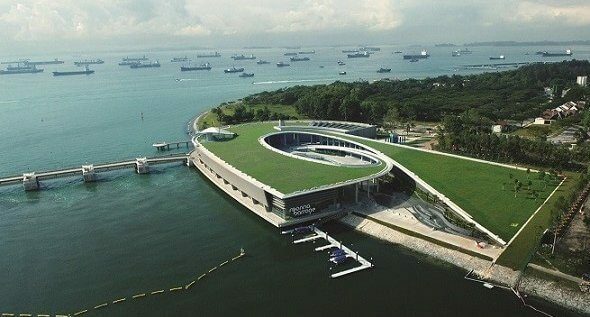 Water has become an interesting area of focus recently in Singapore, where the government has recently announced that water prices will be raised by 30% over the next 2 years. This is to reflect the scarcity of water in the country and that citizens should be prudent in conserving water. The magnitude of the price increase has made consumers and enterprises sit up to take notice of their water consumption patterns. A leak in the water pipes could potentially be extremely expensive affair. In 2015, I was personally affected when a silent leak in my toilet resulted in the water bill going up 100% from the previous month. In the larger scheme of things, leaky and aging pipes cause significant water loss. It was reported that in England and Wales, about 3.1 trillion litres of water, representing 25% of potable water leaving the nation’s treatment plants never reaches the tap. While in the United states, the American Water Works Association estimates losses of approximately 26.5 trillion litres of water, costing public water utilities USD2.8 billion annually. Water conservation is important, as it is forecasted that by 2040 the gap between the global demand for freshwater and its supply will hit 50 per cent, intensifying the competition for global water resources in a way that will impact businesses. With the rise of the Internet of Things (IoT), objects such as Smart meters, toilet bowls and showers, can now be connected to a network in which, data that relates to water use is captured and further analysed. Insights can then be used to improve water conservation efforts. To combat the problem of leaky pipes mentioned above, global water utilities are utilizing Smart meters and advanced analytics to pinpoint leakages and conduct pre-emptive maintenance on their water networks, thus reducing the amount of water wastage. Other examples which have made use of IoT technologies to conserve water are listed below. The city of Barcelona has implemented IoT technologies to remotely sense and control park irrigation and water levels in public fountains. Using sensors to monitor rain and humidity, park workers can determine how much irrigation is needed in each area. A system of electrovalves is then remotely controlled to deliver necessary water across the city. The program, implemented in 68 percent of public parks, helped the city achieve a 25 percent increase in water conservation, for savings of approximately $555,000 per year. A study conducted by the National University of Singapore and the Public Utilities Board, found that installation of smart shower devices showed that a person could save up to 5 litres of water a day. This has been followed through with the installation of smart shower devices in 10,000 new homes in Singapore. The installation of smart devices in homes are as part of a wider water conservation plan and can help consumers in combating the 30% increase in water prices mentioned earlier. In San Francisco, the San Francisco Public Utilities Commission, has automated water meters in place for 96% of its water accounts. Hourly water consumption data is transmitted wirelessly to the utilities billing system. The reliable and frequent water usage information allows consumers to monitor use and detect leaks faster than possible with the existing manually-read meters. For example, consumers are alerted by email or phone call, when water use exceeds a specified limit or when a meter indicates continuous running water for 24 hours. Consumers and Enterprises have an important role to play in water conservation and Technology can be an important facilitator. With the help of smart devices consumers and enterprises are now able to track water usage on a real time basis and can better manage their water costs!